Vaccine Associated Sarcoma (VAS) in cats is supposed to be a rare cancer. But here in the Tripawds Nation, it’s not unheard of. 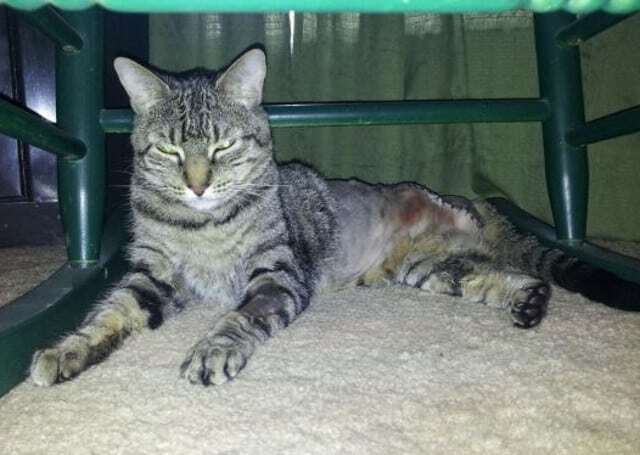 Also called “Feline Injection-site Sarcoma” (FISS), we’ve seen our share of members who have lost a leg to this tumor. Today we’re sharing some VAS cat stories, then read on because you’ll also find more helpful information about VAS. 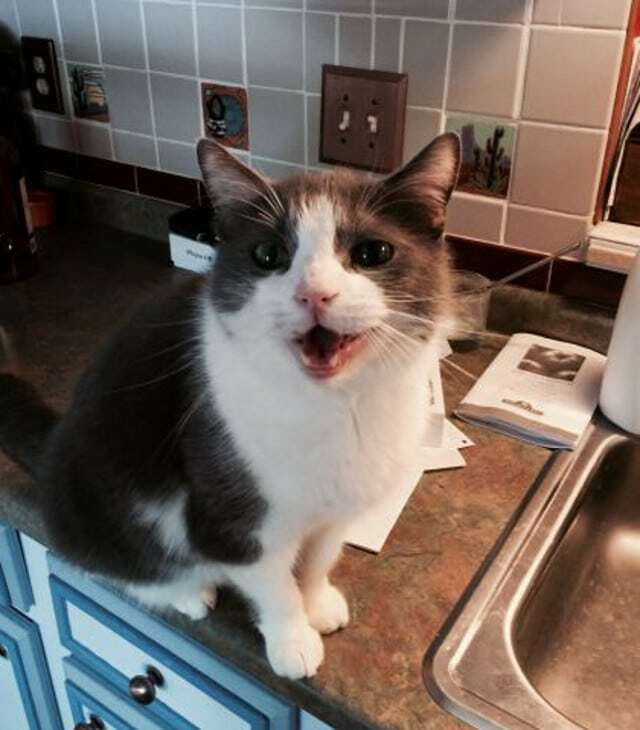 Little Man has a great blog called “Little Man: Loving Life on Three Legs.” It’s one of the first Tripawd kitty blogs that discussed Vaccine Associated Sarcoma and how he coped. Tripawd Kitty Little Man recovers from amputation. After Little Man came TriKitty Mona, whose mom Kerren has taught us so much about this stubborn cancer in cats. As an active member of this community, Kerren is always lending a helping paw to cats and dogs alike and offering helpful tips, no matter the diagnosis. Mona is back and enjoying life. Vaccine Associated Fibrosarcomas in cats is not curable. Hopefully tumour removal through surgery stops it from spreading. Radiation, chemo, and Interleukin 2 only delay re-occurrence. If possible immediate amputation is the best hope to rid the body of VAS if the vaccines are injected low in the leg. My vet and pathologist are confident the cancer left with the leg. All I have is hope. I don’t dwell on it but am thankful for every day she is with me. Another Tripawd cat with VAS was Jerry. 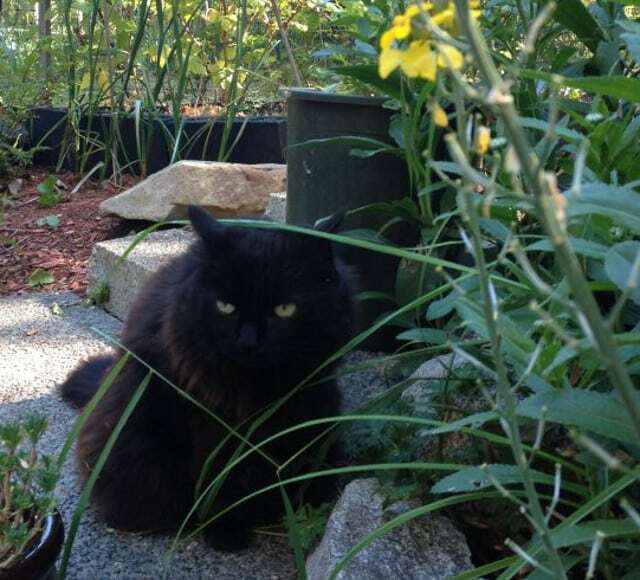 This sweetie’s blog “Three Cats, Eleven Paws” is also filled with helpful insight about coping with a probable VAS tumor. The cancer appeared not once, but multiple times. Eventually it took his life, but his spirit lives on and stays strong. This post is dedicated to Angel Jerry, always in our hearts. VAS sarcomas are tumors formed within a cat’s connective tissues. These tumors are usually “fibrosarcomas,” named after the cells found within the tumor. VAS tumors occur at vaccination sites; shoulder blades, hips and back legs. Certain vaccines, including rabies and feline leukemia are linked to this cancer. Genetic predisposition could play a role, but scientists don’t know exactly how. Surgical excision is the best way to remove the tumor, but these tumors have many “tentacles” that are difficult to remove. Cats with VAS leg tumors have the best odds for beating the cancer. Chemotherapy and radiation increase longveity odds of up to 24 month survival time. Regardless of treatment, metastasis happens about 10-25 percent of the time. Vaccination on the lower limbs and tail has been advocated, such that amputation of the affected leg or tail can be performed if a tumor should occur. If you came here for reputable information about VAS / FISS, we hope this helps. Join the Tripawds Discussion Forums for support, and check out these helpful, science-based articles about VAS that we’ve located for you. Got other good articles about VAS in cats that you’d like to share? Comment below and let us know where to locate them. We’ll be sure to add them to this list. Thanks for sharing this important information for those with cats, or those who have feline friends. As usual it’s a well researched and written blog. Oh my gosh Kerren thank YOU. And you know what? I forgot to link to a REALLY great response you gave in the Forums about what to do if a VAS tumor is confirmed. It was probably over a year ago. Any idea where it is? I just spend 15 minutes looking and couldn’t find it. No worries if you can’t either. Thanks for all you do! Thank you for sharing. Very interesting read. Thanks Michelle. We learn so much from TriKitties don’t we? !